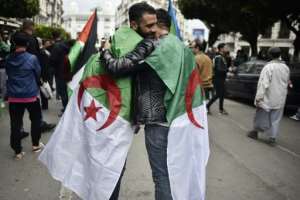 A vast crowd of protestors flooded the streets of Algiers Friday, the first mass demonstrations since the resignation of ailing president Abdelaziz Bouteflika and a show of strength by those pushing demands for reform. 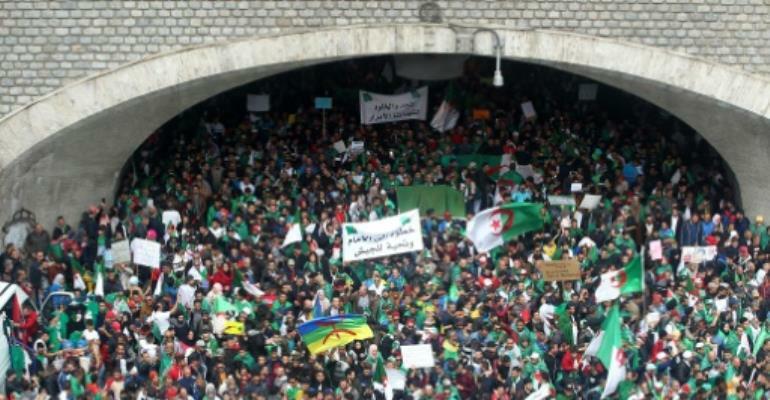 Activists chanted slogans demanding key Bouteflika loyalists follow his lead and quit, after social media calls for "joyful demonstrations" to "peacefully bring down a dictatorial regime". 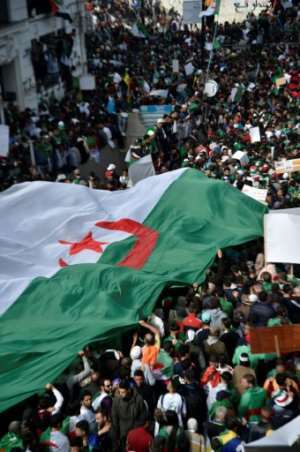 No official figures were immediately available on the size of the rally, but it was at least as big as those held on previous Fridays leading up to Bouteflika's departure, said AFP journalists at the scene. Opponents of the old regime have called for a massive turnout, targeting a triumvirate they dub the "3B" -- Senate speaker Abdelakder Bensalah, head of the constitutional council Tayeb Belaiz and Prime Minister Noureddine Bedoui. Even hours before the rally started, several hundred demonstrators had gathered outside the main post office in central Algiers, which has been the epicentre of the protest movement. One of the leading voices of the protest movement, lawyer Mustapha Bouchachi, has called for the demonstrations to continue "until they have all gone". "Algerians will not accept that symbols of the regime... lead the interim period and organise the next elections." But protestors expressed hope that the system would see real change. Zoubir Challal, who like many young unemployed Algerians had considered a dangerous crossing of the Mediterranean to seek a better life in Europe, carried a sign bearing the slogan: "For the first time, I don't want to leave you, my country." The army's intentions are a key question, according to analysts. But protestors on Friday chanted: "The army and the people are brothers!" 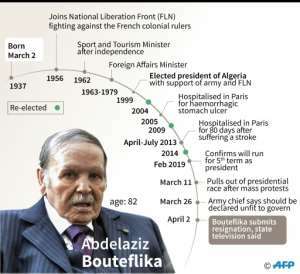 Said Zeroual, 75, said he hoped Algeria would regain "our freedom and our sovereignty". "I hope to live long enough to see democracy in my country," he said.